In this issue, weve included the beautiful Bird with Branch die. This set of three dies includes a little bird, flower and a branch that can be cut individually or used together as a set. Weve shown how the bird can be used all year round. Throughout the winter months the bird can be transformed to a robin. There are a number of projects throughout the magazine that feature this die, as well as a number of our other deep dish designs. 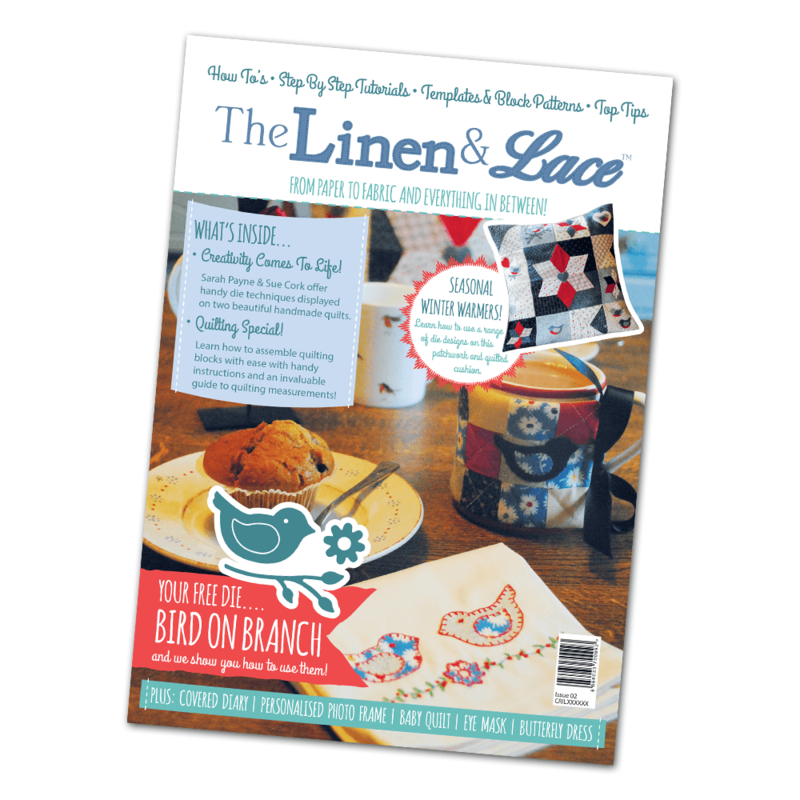 This edition has 15 projects in total as well as quilting tips throughout to help you along the way. One of my favourites is the Robin Cushion. The project was so much fun to make and incorporates a few die designs to make each square different. I love hand stitching and there is quite a lot on this so its great for crafting on the move. Other projects include a baby quilt featuring adorable elephants, a personalised photo frame, covered diary, pin cushion and much more. I have a massive love for stag prints and was THRILLED when we agreed to produce not one but two stag die designs. The Stag Garland features both of these shapes to make a really cute garland using felt that can be strung along a dresser, window or any piece of furniture. Well I hope you can find plenty of inspiration and get started on one of the many projects included. Enjoy!